Tesla’s Europe Gigafactory might still be years away, but the upcoming facility has already begun attracting the interest of some European states. According to recent reports, authorities from Germany and the Netherlands have started initiating talks with the electric car maker to discuss the possibility of building the Europe Gigafactory in their respective countries. The talks with Tesla are still reportedly in their early stages, and thus, are not formal agreements yet. Nevertheless, a Dutch official has stated that Tesla had discussed a plan to build the Gigafactory in the Netherlands, where the company currently has a facility that works on vehicles manufactured in the United States to prepare them for local markets. In a statement to the Wall Street Journal, Ralph Schleimer, a state official from Rhineland Palatinate, Germany, noted that the state is doing what it can to assure Tesla that it is a viable location for the planned facility. Schleimer added that the state had already presented its proposals to Tesla, but any detailed negotiations have not begun yet. “We have done everything possible to assure that Rhineland Palatinate is in the competition for the plant,” he said. Establishing the Europe Gigafactory in Rhineland Palatinate makes strategic sense for the electric car and energy company, considering that the state houses the headquarters of Tesla Grohmann Automation, which manufactures robots used by the electric car maker in its production facilities. With Tesla Grohmann located in the same state, a Gigafactory in Rhineland Palatinate would likely get optimized and start operations quickly, as the facility’s robots could be delivered, tuned, and optimized easily. Saarland, another German state, has also expressed its interest in Tesla’s Europe Gigafactory. According to Saarland economics minister Anke Rehlinger, they have approached Tesla about the possibility of building the massive facility in the state. They have also met with Tesla in early July. “They are looking at us to see if we fit their needs, (but) formal negotiations haven’t begun,” Rehlinger said. 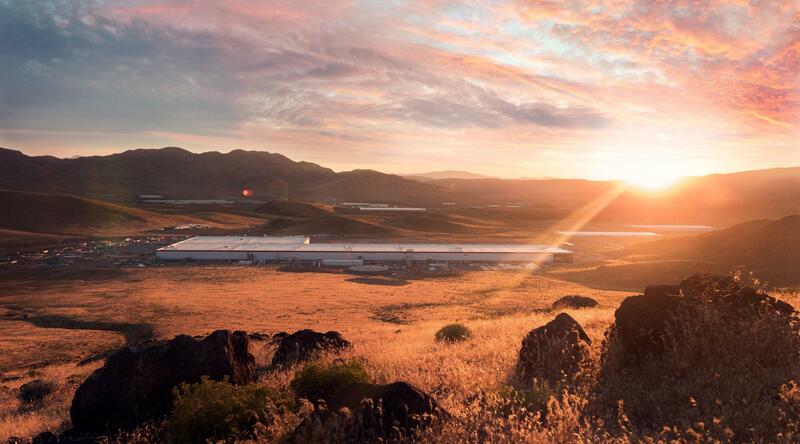 Tesla’s Europe Gigafactory would be the second major battery and electric car factory that the company would build outside the United States. Earlier this month, Tesla had announced its plans of building Gigafactory 3 in China, which would be capable of manufacturing both battery packs and electric cars. Once complete, Tesla’s China Gigafactory is expected to produce 500,000 electric vehicles per year. The vehicles that would be manufactured in China have not been formally announced by Tesla, though expectations are high that the facility would house the production of the Model Y and some of the Model 3. The Europe Gigafactory was mentioned by Elon Musk in a tweet last June. During his brief social media announcement, Musk stated that Germany was the “leading choice” for Europe, adding that establishing the facility on the German-French border makes sense, as they are close to the Benelux countries. The idea of a Europe Gigafactory has been around for some time as well, as the facility was teased by Musk in late 2016, right after the company finished its acquisition of Grohmann Engineering.